With Internet of Things traffic poised to explode, vendors take on fleet management and the ISO ratifies an IoT standard addressing security, management, and interoperability. The Internet of Things (IoT) has reached that fun phase in which everyone has started to figure out a wider array of meaningful use cases for the technology, but few of those uses are fully mature. From the industrial IoT and predictive maintenance to nebulous smart city tech the IoT’s hitting a new growth spurt, and one of the newest applications is headed to a highway near you. Or, actually, it’s coming to a really big parking lot somewhere near you. Fleet management is one of the long-promised applications of IoT tech that’s starting to take off lately, with announcements this month from companies like Silicon Labs and Cognosos, who rolled out a vehicle-tracking system for lot operators. The idea is to use a small SoC-based identifier tag, applied to the visor or rear-view mirror and scanned into the system by a smartphone app, to provide real-time location and status information about a tracked vehicle. There’s even an accelerometer to help provide pinpoint accurac, and to alert the user if a car is being moved. The ability to graft meaningful intelligence onto vehicles that weren’t designed with any such systems in mind is a powerful one, and it’s a technique being used in other fields to “IoT-ify” existing hardware – witness aging industrial machinery sporting new connected sensors and older medical devices with asset tracking and diagnostic abilities added in via similar modules. The term Internet of Things has always been a partial misnomer. IoT devices talk to each other and to backends via a huge range of different connectivity technologies, from SMS to licensed cellular to specialist low-power WAN networks. Nevertheless, regular old Wi-Fi remains an important type of IoT connectivity. A newly released forecast from Cisco estimates that by 2022 more than half of all IP network connections around the world will be some form of IoT or M2M device, instead of a laptop or smartphone. That’s a sharp increase from Cisco’s previous estimates of that number, but the company said that the profusion of high-bandwidth IoT use cases, including autonomous vehicles, connected health devices and video surveillance means that IoT’s share of IP traffic has spiked. Nevertheless, the International Organization for Standardization – a pan-industrial regulatory standards-setting body that’s been around in one form or another since the 1920s – has made its considerable presence felt in the world of IoT by ratifying the Open Connectivity Foundation’s OCF 1.0 specification as an international standard. The standard mandates public-key-based security, cloud management and interoperability for IoT systems in an attempt to create a useful, open framework for IoT. Whether OCF 1.0 winds up being a meaningful way to cut through the wild undergrowth of competing IoT standards and technologies remains to be seen, but an official ISO seal of approval certainly lends credibility to the foundation’s efforts. Aruba announced earlier this month that its latest generation of new access points will boast ZigBee and Bluetooth 5 capabilities. The idea is to broaden the array of different IoT device types that can use their APs, and reduce the need for alternative network deployments to handle an IoT infrastructure. That’s handy for businesses using those specific network protocols – and, as mentioned, plenty of them are simply using Wi-Fi for IoT tasks already – though there are still plenty of IoT networking standards for which you’ll need separate hardware. And the path toward broader deployments, at least for IIoT companies, just got a little smoother with the news that GE’s Predix infrastructure will receive a new “Predix Edge” upgrade aimed at helping industrial companies adapt to an edge-focused environment by making the deployment process simpler and more automated. It’s also got compliance and security features built-in, and can help enable the edge architecture’s key value propositions of remote processing and operation in limited-connectivity environments. 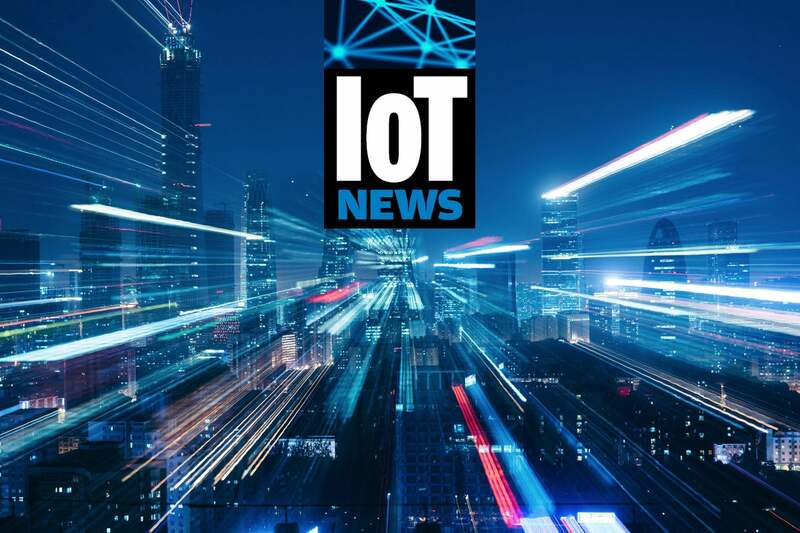 This story, "IoT roundup: Retrofitting vehicle tracking, plus a new IoT standard" was originally published by Network World.